7.2.7 What was the cost? 8.4 Lloyd George's "New Deal"
Also in 1918 George was one of the many infected during the 1918 flu pandemic, but he survived. [page needed]Conscription put into uniform nearly every physically fit man, six million out of ten million eligible. Of these about 750,000 lost their lives and 1,700,000 were wounded. Most deaths were of young unmarried men; however, 160,000 wives lost their husbands and 300,000 children lost their fathers. Unrivaled as a negotiator, he had powerful combative instincts and indomitable determinism, and succeeded through charm, insight, resourcefulness, and simple pugnacity. Although sympathetic to France's desires to keep Germany under control, he did much to prevent the French from gaining power, attempted to extract Britain from the Anglo-French entente, inserted the war-guilt clause, and maintained a liberal and realist view of the postwar world. By doing so, he managed to consolidate power over the House, secured his power base, expanded the empire, and sought a European balance of power. The more conservative wing of the Unionist Party had no intention of introducing reforms, which led to three years of frustrated fighting within the coalition both between the National Liberals and the Unionists and between factions within the Conservatives themselves. 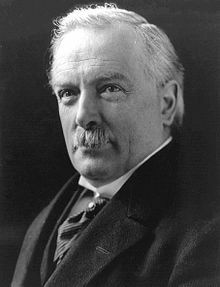 Many Conservatives were angered by the granting of independence to the Irish Free State and by Montagu's moves towards limited self-government for India, while a sharp economic downturn and wave of strikes in 1921 damaged Lloyd George's credibility. A scandal erupted in 1922 when it became known that Lloyd George had awarded honours and titles, such as baronetcies, to rich businessmen in return for cash in the range of £10,000 and more, via Maundy Gregory. 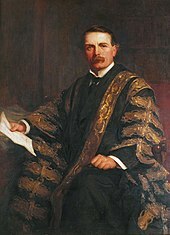 A major attack on his corruption in the House of Lords followed, resulting in the Honours (Prevention of Abuses) Act 1925. 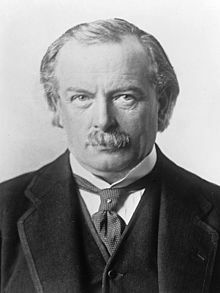 The Conservatives also attacked Lloyd George as lacking any executive accountability as Prime Minister, claiming that he rarely appeared at Cabinet. 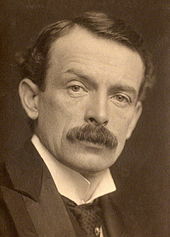 The Liberal Shadow Cabinet, including Lloyd George, unequivocally backed Baldwin's handling of the General Strike on 3 May, but Lloyd George then wrote an article for the American press more sympathetic to the strikers, and did not attend the Shadow Cabinet on 10 May, sending his apologies on “policy grounds”. Asquith sent him a public letter (20 May) rebuking him for not attending the meeting to discuss his opinions with colleagues in private. 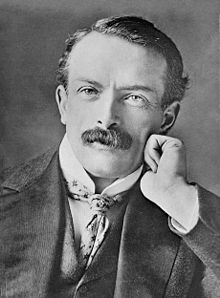 Lloyd George's letter of 10 May had not been published, making it appear that Asquith had fired the first shot, and Lloyd George sent a public reply, moderate in tone (the journalist C. P. Scott helped him draft it), on 25 May. In late May, the executive of the National Liberal Federation convened to plan the agenda for the following month's conference. 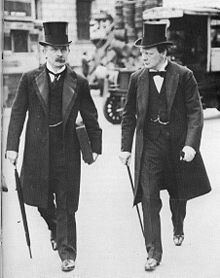 16 were pro Asquith and 8 pro Lloyd George; they planned a motion expressing confidence in Asquith, but another option was also proposed to seek Asquith's opinion first, and also general feeling of regret at having been forced to choose between Asquith and Lloyd George. Asquith then wrote another public letter (1 June) stating that he regarded Lloyd George's behaviour as tantamount to resignation, the same as if a Cabinet Minister had refused to abide by the principle of collective responsibility. Twelve leading Liberals wrote in Asquith's support to “The Times” (1 June). 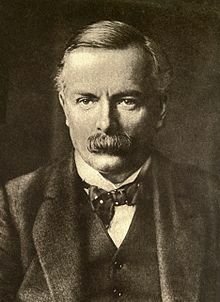 However, Lloyd George had more support in the wider party than among the grandees: the London Liberal Candidates��� Association (3 June) defied its officers and expressed its dismay at the split, effectively supporting Lloyd George, and on 8 June the Liberal MPs voted 20:10 urging a reconciliation. Asquith had planned to launch a fightback at the National Liberal Federation in Weston-Super-Mare, but on 12 June, five days before the conference was due to start, he suffered a stroke which put him out of action for three months. Lloyd George was given a rapturous welcome. Asquith resigned as party leader in October, dying in 1928. 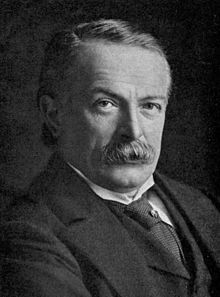 ^ Under the rules governing titles within the peerage, Lloyd George's name in his title was hyphenated even though his surname was not. ^ "David Lloyd George Exhibition". National Library of Wales. March 1995. Retrieved 14 February 2016. ^ "Rating British Prime Ministers". Ipsos MORI. Archived from the original on 12 September 2011. Retrieved 16 August 2012. ^ "100 great Britons – A complete list". Daily Mail. 21 August 2002. ^ Prime Minister James Callaghan represented a Welsh constituency (in Cardiff), but was English by birth, upbringing and language. ^ "Criccieth church of Christ, Wales and David Lloyd George". churches of christ. Retrieved 2016-02-09. ^ Simkin, John (2015). "David Lloyd George". spartacus-educational.com. Retrieved 2016-02-10. ^ Gilbert, Bentley Brinkerhoff (1992). "The Decline of Liberalism". 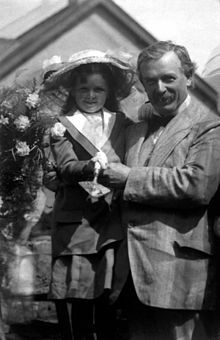 Lloyd George: A Political Life: Organizer of Victory 1912-1916. London: B. T. Batsford Ltd. p. 55. ISBN 0713457279. ^ Bourns, Robert (14 December 2016). 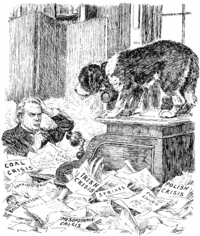 "Lloyd George the parliamentarian". The Law Society. Retrieved 11 May 2018. ^ a b John Grigg, Lloyd George and Wales (National Library of Wales, 1988). ^ Travis L. Crosby (2014). The Unknown Lloyd George: A Statesman in Conflict. pp. 15–16. ^ Gilbert, Bentley Brinkerhoff (1987). "Childhood, Youth, the Law and Politics". David Lloyd George: A Political Life: The Architect of Change 1863–1912. London: B. T. Batsford Ltd. pp. 75–76. ISBN 0713455586. ^ Hattersley, Roy (2010). "Not a Gentleman...". David Lloyd George: The Great Outsider. London: Little, Brown. p. 50. ISBN 9781408700976. ^ Gilbert, Bentley Brinkerhoff (1987). "The Early Years in Parliament: The Welsh Parnell". 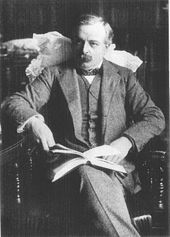 David Lloyd George: A Political Life: The Architect of Change 1863–1912. London: B. T. Batsford Ltd. pp. 146–147. ISBN 0713455586. ^ Barra, Caoimhín De. "Celts divided by more than the Irish Sea". The Irish Times. ^ Grigg, John (2003). "Crisis at Sea and Revolution in Russia". Lloyd George: War Leader 1916-1919. Penguin Books. p. 61. ISBN 0140284273. ^ Hattersley, Roy (2010). "Go for Joe". David Lloyd George: The Great Outsider. London: Little, Brown. pp. 119–144. ISBN 9781408700976. ^ Gilbert, Bentley Brinkerhoff (1987). "The Free Lancer: The South African War, 1895-1902". Lloyd George: A Political Life: The Architect of Change. London: B. T. Batsford Ltd. pp. 178–214. ISBN 0713455586. ^ Hattersley, Roy (2010). "Noncomformity's Champion". David Lloyd George: The Great Outsider. London: Little, Brown. pp. 145–165. ISBN 9781408700976. ^ Crosby (2014). The Unknown Lloyd George. p. 68. ^ Crosby (2014). The Unknown Lloyd George. p. 176. ^ Robert K. Massie (1992). Dreadnought: Britain, Germany, and the Coming of the Great War. pp. 609–15. ^ Jenkins, Roy (1998). "David Lloyd George". The Chancellors. Macmillan. p. 166. ISBN 0333730577. ^ Jenkins, Roy (1998). 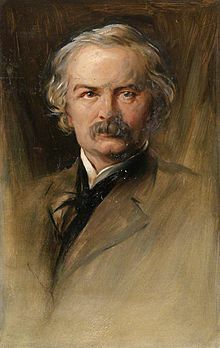 "David Lloyd George". The Chancellors. Macmillan. p. 167. ISBN 0333730577. ^ Jenkins, Roy (1998). "David Lloyd George". The Chancellors. Macmillan. p. 172. ISBN 0333730577. ^ Murray, Bruce (Autumn 2009). "The "People's Budget" a Century On" (PDF). Journal of Liberal History. Liberal Democrat History Group (64): 12. Retrieved 11 May 2018. ^ Hattersley, Roy (2010). "A Reasonable Way Out". David Lloyd George: The Great Outsider. London: Little, Brown. pp. 278–279. ISBN 9781408700976. ^ Martin Pugh (2014). Lloyd George. Routledge. pp. 59–61. ^ Thomas Jones, Lloyd George (1951) pp 18-20, 42. ^ K. O. Morgan, Wales in British Politics (Cardiff, 1963), 259-79. ^ Jenkins, Roy (1986). "The Plunge to War 1914". Asquith (Third ed.). London: Collins. pp. 325–326. ISBN 0002177129. ^ Jenkins, Roy (1986). "The Plunge to War 1914". Asquith (Third ed.). London: Collins. pp. 327–329. ISBN 0002177129. ^ Gilbert, Bentley Brinkerhoff (1992). "From Crisis into War". 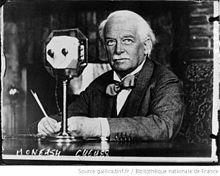 Lloyd George: A Political Life: Organizer of Victory 1912-1916. London: B. T. Batsford Ltd. pp. 110–113. ISBN 0713457279. ^ Jenkins, Roy (1998). "David Lloyd George". The Chancellors. Macmillan. pp. 174–175. ISBN 0333730577. ^ Jenkins, Roy (1998). "David Lloyd George". The Chancellors. Macmillan. pp. 175–176. ISBN 0333730577. ^ Gilbert, Bentley Brinkerhoff (1992). Lloyd George: A Political Life: Organizer of Victory 1912-1916. London: B. T. Batsford Ltd. p. plate facing 260. ISBN 0713457279. ^ Hattersley, Roy (2010). "Frontal Assaults". David Lloyd George: The Great Outsider. London: Little, Brown. pp. 426–433. ISBN 9781408700976. ^ Grigg, John (2003). 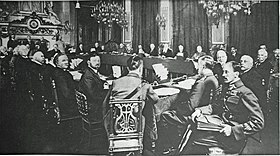 "Conference at Calais". Lloyd George: War Leader 1916-1918. Penguin Books. pp. 35–44. ISBN 0140284273. ^ Grigg, John (2003). "Nivelle's Nemesis". Lloyd George: War Leader 1916-1918. Penguin Books. pp. 82–98. ISBN 0140284273. ^ Grigg, John (2003). "Crisis at Sea and Revolution in Russia". Lloyd George: War Leader 1916-1918. Penguin Books. pp. 45–47, 49. ISBN 0140284273. ^ Grigg, John (2003). "Crisis at Sea and Revolution in Russia". Lloyd George: War Leader 1916-1918. Penguin Books. pp. 47–49. ISBN 0140284273. ^ Grigg, John (2003). "Crisis at Sea and Revolution in Russia". Lloyd George: War Leader 1916-1918. Penguin Books. pp. 49–50. ISBN 0140284273. ^ Grigg, John (2003). "Crisis at Sea and Revolution in Russia". Lloyd George: War Leader 1916-1918. Penguin Books. pp. 51, 53. ISBN 0140284273. ^ Grigg, John (2003). "Crisis at Sea and Revolution in Russia". Lloyd George: War Leader 1916-1918. Penguin Books. pp. 50, 52. ISBN 0140284273. ^ Grigg, John (2003). "Crisis at Sea and Revolution in Russia". Lloyd George: War Leader 1916-1918. Penguin Books. pp. 52–53. ISBN 0140284273. ^ Grigg, John (2003). "Crisis at Sea and Revolution in Russia". Lloyd George: War Leader 1916-1918. Penguin Books. pp. 45, 49, 52–53. ISBN 0140284273. ^ Grigg, John (2003). "Crisis at Sea and Revolution in Russia". Lloyd George: War Leader 1916-1918. Penguin Books. pp. 58–59. ISBN 0140284273. ^ Grigg, John (2003). "Crisis at Sea and Revolution in Russia". Lloyd George: War Leader 1916-1918. Penguin Books. pp. 60–61. ISBN 0140284273. ^ Grigg, John (2003). "Crisis at Sea and Revolution in Russia". Lloyd George: War Leader 1916-1918. Penguin Books. pp. 61–64. ISBN 0140284273. ^ Glover, Jonathan (11 September 2012). Humanity: A Moral History of the Twentieth Century, Second Edition. Yale University Press. p. 167. ISBN 9780300186406. Retrieved 18 January 2018. ^ Grigg, John (2003). "Manpower". Lloyd George: War Leader 1916-1918. Penguin Books. p. 366. ISBN 0140284273. ^ Grigg, John (2003). "Manpower". Lloyd George: War Leader 1916-1918. Penguin Books. pp. 366–369. ISBN 0140284273. ^ a b Grigg, John (2003). "Manpower". Lloyd George: War Leader 1916-1918. Penguin Books. pp. 369–370. ISBN 0140284273. ^ Grigg, John (2003). "Speeches". Lloyd George: War Leader 1916-1918. Penguin Books. pp. 380–383. ISBN 0140284273. ^ Grigg, John (2003). "Speeches". Lloyd George: War Leader 1916-1918. Penguin Books. pp. 383–385. ISBN 0140284273. ^ Grigg, John (2003). "Manpower". Lloyd George: War Leader 1916-1918. Penguin Books. pp. 371–376. ISBN 0140284273. ^ Grigg, John (2003). "Robertson Goes". Lloyd George: War Leader 1916-1918. Penguin Books. pp. 411–418. ISBN 0140284273. ^ Grigg, John (2003). "Extending Conscription". Lloyd George: War Leader 1916-1918. Penguin Books. pp. 478–483. ISBN 0140284273. ^ Grigg, John (2003). "Extending Conscription". Lloyd George: War Leader 1916-1918. Penguin Books. pp. 465–488. ISBN 0140284273. ^ Grigg, John (2003). "The Maurice Affair". Lloyd George: War Leader 1916-1918. Penguin Books. pp. 489–512. ISBN 0140284273. ^ Bogdanor, Vernon (2011-01-20). "The coalition is held together by fear". New Statesman. Retrieved 29 August 2014. ^ "The Victory Election – Pacifists Swept Away". Auckland Star. 17 March 1919. Retrieved 4 January 2014. ^ Taylor, A. J. P. (2000). "Post-War, 1918-22". England 1914-1945. London: The Folio Society. p. 128. ^ Pat Thane (2016). The Foundations of the Welfare State. Taylor & Francis. p. 176. ^ Charles Loch Mowat, Britain between the wars: 1918-1940 (1955) pp 45-46. ^ "Coal still uniting the community". bbc.co.uk. 2008-12-11. Retrieved 2016-02-10. ^ Hattersley, Roy (2010). "The Perils of Peace". David Lloyd George: The Great Outsider. London: Little, Brown. p. 529. ISBN 9781408700976. ^ Jeffrey M. Shaw; Timothy J. Demy (2017). War and Religion: An Encyclopedia of Faith and Conflict. ABC-CLIO. pp. 250–51 vol 1. ^ Wrigley, Chris (1992). "A Fit World and a Fit Land to Live in?". Lloyd George. Historical Association Studies. Oxford: Blackwell Publishers. p. 106. ISBN 0631166084. ^ Paul W. Doerr (1998). British Foreign Policy, 1919-1939. Manchester UP. pp. 55–61. ^ Sally Marks, The Illusion of Peace: International Relations in Europe, 1918-1933 (2nd ed. 2003) pp 32-33. ^ Carl-Ludwig Holtfrerich, The German Inflation 1914-1923: Causes and Effects in International Perspective (Walter de Gruyter, 2013) p. 298. ^ Marks, The Illusion of Peace, pp 52-54. ^ Marks, The Illusion of Peace, p 45. ^ Kenneth O. Morgan, Consensus and Disunity: The Lloyd George Coalition Government 1918-1922 (1986) pp 302-30. ^ Travis L. Crosby (2014). The Unknown David Lloyd George: A Statesman in Conflict. I.B.Tauris. p. 330. ISBN 978-1-78076-485-6. ^ Morgan, Consensus and Disunity: The Lloyd George Coalition Government 1918-1922 (1986) pp 331-56. ^ R. Boyce (2009). The Great Interwar Crisis and the Collapse of Globalization. Palgrave Macmillan UK. p. 125. ^ M. S. R. Kinnear, The fall of Lloyd George: the political crisis of 1922 (1973). ^ Campbell, John (1977). "Introduction". Lloyd George: The Goat in the Wilderness 1922-1931. London: Jonathan Cape. pp. 3–11. ISBN 0224012967. ^ "Measuring Worth - Measures of worth, inflation rates, saving calculator, relative value, worth of a dollar, worth of a pound, purchasing power, gold prices, GDP, history of wages, average wage". www.measuringworth.com. Archived from the original on 31 March 2016. Retrieved 30 October 2016. ^ Campbell, John (1977). "The Aftermath of Coalition 1922-3". Lloyd George: The Goat in the Wilderness 1922-1931. London: Jonathan Cape. pp. 47–48. ISBN 0224012967. ^ "Our Former Presidents: London Welsh Centre". London Welsh Centre website. London Welsh Centre. Archived from the original on 2011-07-20. Retrieved 2011-02-04. ^ "Lloyd George and Hitler". Cymdeithas Lloyd George - Lloyd George Society. 17 April 2008. Retrieved 10 August 2018. ^ Stella Rudman (2011). 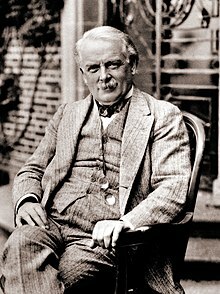 Lloyd George and the Appeasement of Germany, 1919-1945. Cambridge Scholars Publishing. pp. 233–35. ^ Wrigley, Chris (1992). "Lloyd George and the Liberal Party". Lloyd George. Historical Association Studies. Oxford: Blackwell Publishers. p. 146. ISBN 0631166084. ^ "David Lloyd George remembered". Wales. 2013-01-17. Retrieved 2018-02-11. ^ Gilbert, Bentley Brinkerhoff (1992). "Preface". Lloyd George: A Political Life: Organizer of Victory 1912-1916. London: B. T. Batsford Ltd. p. 14. ISBN 0713457279. ^ Grigg, John (2003). "Lloyd George's Boswell". Lloyd George: War Leader 1916-1918. Penguin Books. pp. 220–221. ISBN 0140284273. ^ Shpeherd, John. "Lloyd George and Churchill (review)". History Today. Retrieved 11 February 2018. ^ Longford, Jennifer (2007-07-10). "Memories of David Lloyd George". lloydgeorgesociety.org.uk. Retrieved 2010-10-05. ^ "Dan Snow: History boy – Profiles – People – The Independent". The Independent. 2008-07-26. Retrieved 2014-09-02. ^ "Next generation takes charge". Financial Times. London. 2007-04-25. ^ "Estonian State Decorations". president.ee. Retrieved 2011-01-22. ^ "Blackpool Council – Mayor – General Information – Honorary Freemen". Blackpool.gov.uk. Retrieved 14 January 2013. French, David (1995), The Strategy of the Lloyd George Coalition, 1916–1918, Oxford U.P. Hankey, Lord (1961), The Supreme Command, 1914–1918, 2 vols. Keynes, John Maynard (1920). "The Economic Consequences of the Peace". famous criticism of versailles Treaty as too harsh on Germany, by leading economist. Lentin, Antony. 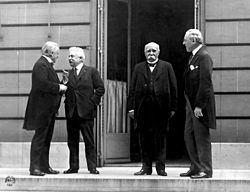 "Several types of ambiguity: Lloyd George at the Paris peace conference." Diplomacy and Statecraft 6.1 (1995): 223-251. Lloyd George, David (1938), The Truth About the Peace Treaties, 2 vols. Lord Riddell. 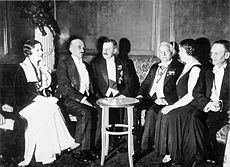 Lord Riddells Intimate Diary of the Peace Conference And After (1933) online free, near-verbatim versions of interviews with Lloyd George by a close friend. Brack, Duncan, Robert Ingham, and Tony Little, eds. British Liberal Leaders (Biteback Publishing, 2015). Cregier, Don M. (May 1970), "The Murder of the British Liberal Party", The History Teacher, Vol.3 (No.4): 27–36, JSTOR 3054322 blames Asquith, Lloyd George and the voters. Dangerfield, George. The Strange Death of Liberal England (1935) online free; highly popular essay but controversial among scholars. Toye, Richard. Lloyd George and Churchill: Rivals for Greatness (Pan Macmillan, 2008). "Archival material relating to David Lloyd George". UK National Archives.